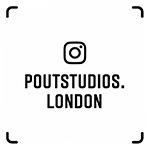 Based in Central London Clerkenwell, PoutStudios is a working studio established nearly 20 years and with easy access to Angel, Barbican, and Old Street tube stations make it a very convenient place to hang out. With fantastic hire rates holding a casting photoshoot or video promo is easy especially with all of our photo and video lights included at no extra charge. PoutStudios offers a relaxed, friendly and creative environment in which to work and has some great cafes and stores close by should you wish to venture out. The studio is always changing so please let us know what you’re looking for or just come down for a personal visit and have some English tea & biscuits! 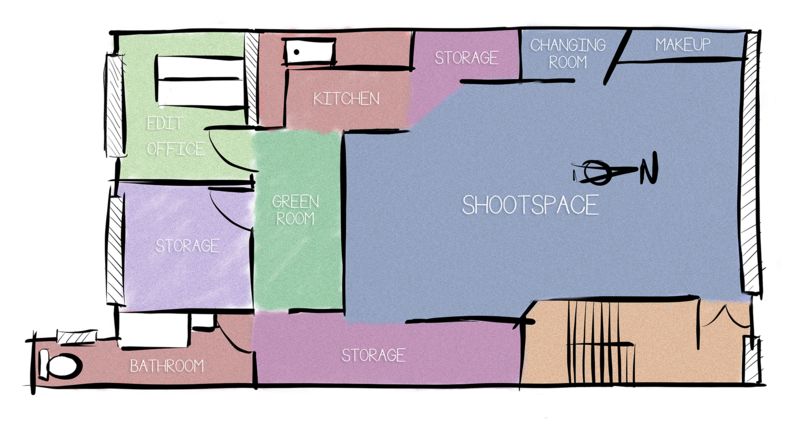 The shooting space covers 700 square foot with a total of 1300 square foot for the whole studio. The roof is a 14 ft apex. All studio hires includes all flash and LED lighting. We keep a stock of Plain white background papers. Any other colour has to be ordered at a ​cost to the​ ​ client. All studio payments to be made pre or on the booking day. By booking the studio you indicate that you have read and agreed to these terms & conditions. Unless otherwise agreed a payment of 50% of the total cost of the booking is required to confirm your booking. The remainder has to be paid on the day or by arrangement. Once booked we will invoice you for Payment of 50%. Final balance is due on the booking date. 24-hour notice has to be given for cancellations – or a cancellation fee of 50% of the total cost of the booking will be taken. Deliveries and collections must be made within the time booked unless prior arrangement has been made. Any equipment breakages will be charged at cost on the same day as your booking. The hirer is liable for any damage to the building and contents. PoutStudios carries substantial public liability cover but cannot be held liable for loss or damage to any equipment products or valuables while at or left at the studio. Clients and visitors must make sure that their property, staff and guests are fully insured as we cannot be held responsible or liable in any circumstances. The hirer must provide adequate insurance for its crew for public liability and all third party risks. Good for sound recording but not soundproofed. Lever Street is inside the London Congestion Charge Zone. The closest Santander Cycle docking station is on Central Street or Goswell road less than three minute’s walk from Poutstudios.